Skin conditioners are quiet popular in Korean skincare regime. But… don’t worry! you don’t have to go to Korea to get one. Today, I am sharing super simple yet highly effective DIY Skin conditioner. The key ingredient for this DIY is Cucumber. Cucumber possesses skin lightening properties. Apart from hydrating, it calms down skin and removes dark circles or blemishes/ uneven skin tone if any. Step 1: Take out the juice of fresh cucumber. Step 2: Take 1 part glycerin, 2 parts cucumber juice, 1 part rosewater. Your skin conditioner is ready to use. This skin conditioner is suitable for all skin types of all ages. It will hydrate, brighten, lighten and soothe your skin. A great way to calm down and refresh your skin with goodness of cucumber and roses. It smells fresh and rejuvenate your sleeping senses. If you find the mixture greasy, increase or decrease the glycerin as you want. You can store it easily for 10 days. Usage: Soak the cotton pads or facial masks sheets with it. Cover your face with it, its good if you cover your eyes too. Cucumber will remove horrible dark circles around you beautiful eyes, relax for 10-15 mins. Remove it and you can see how happy your skin looks 🙂 You can do it everyday. 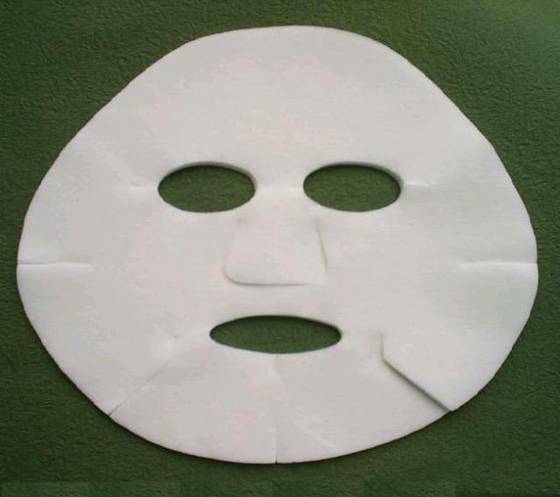 A good facial sheet mask will cost around Rs.150 everyday. Which is expensive but this one is not at all expensive and is equally good as any known facial sheet masks. I hope you enjoy the tutorial. Now I am back on discovering something new. I would love to get suggestions from you and please share the feedback with me, if you like it.